There are resorts and then, there are magical stays. As dreams go, some places just manage to make you fall into a deep sleep that you never want to wake up from. Vacationing in these types of places does not come without its downsides. And I am not talking about the damage to the credit card but about the elusive feeling of floating in paradise. Your mundane life pales in comparison. Where are my Angels? Where is the warm touch of the Thai sun rising above the sea? And, Heaven, was not made in a day, but as a result of ultimate perfection. While you are there, keep on dreaming. 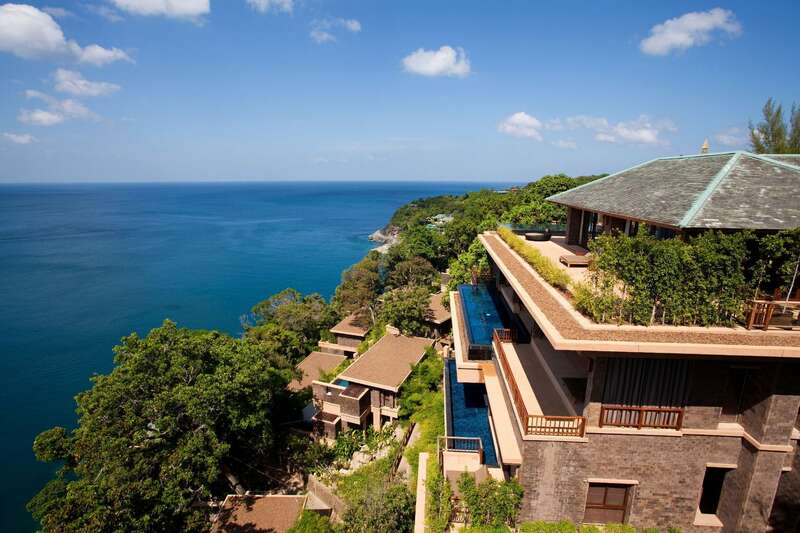 These are 7 Heavenly moments spent at the Paresa Resort in Phuket. The blinking lights of the fiber optic infinity swimming pool will bring the firmament at your feet. Everybody can watch the stars, certainly everybody coming to Phuket could find a dark enough place to contemplate the dotted sky, but not everyone can share the mesmerizing beauty of a sea of lights. Enjoy a private romantic dinner by the resort’s pool which blends into the horizon and the sea below with only the night as your company. Who does not want to get out of bed when the views over the sea are so stunning? But wait. Apart from the views, the breakfast creations are another great reason to welcome a brand new day. 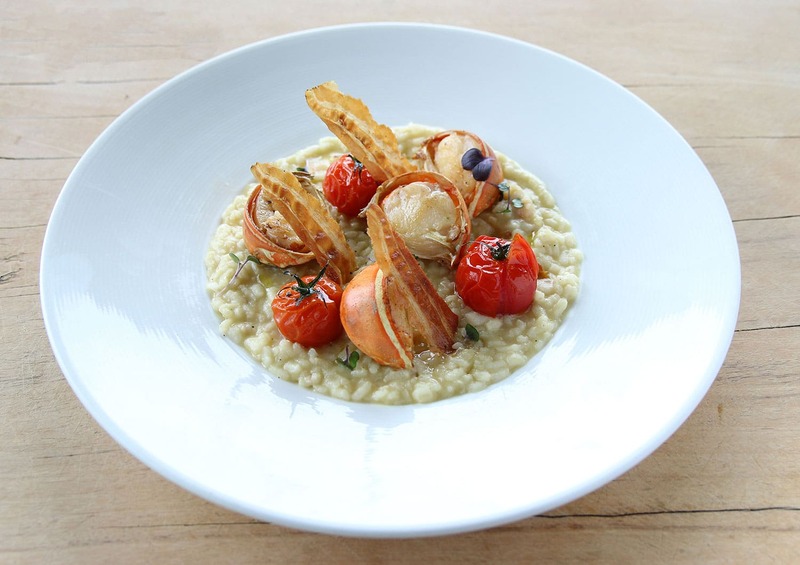 Paresa Resort provides a large selection and an even more delicious a la carte list. Because breakfast is the most important meal of the day and they know it well. Picture this. A large standing bathtub, bubbling salts and essential oils, foam overflowing and soothing music. The sun is slowly descending into the horizon and all you need to do is to slip into your fabulous bath. 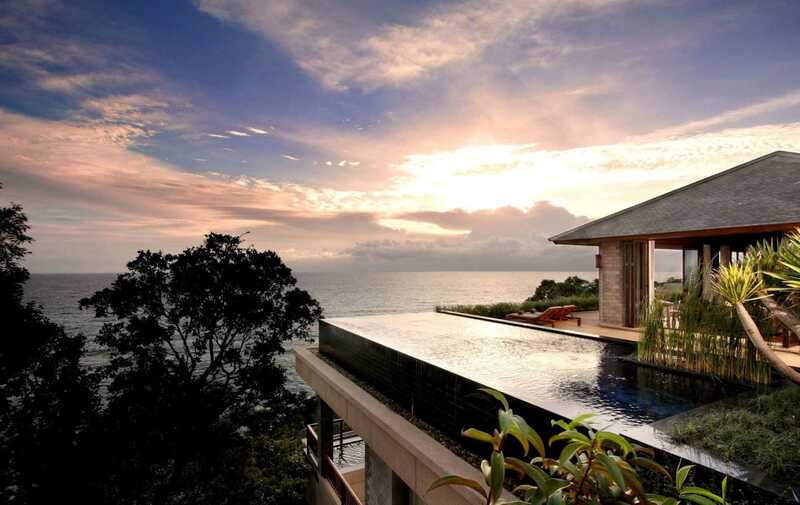 One of the best places to watch the sunset in Phuket. You didn’t think this could be topped off? Then think again because the Angels will be at hand to bring that bottle of bubbly and your favorite treat. In my case, chocolate in any format. If it can be covering strawberries even better. You like all the fanfare that goes on around relaxation, infinity pools, chilling with a cocktail and sunbathing but, after 2 days, your feet itch and you need to set sail? Paresa has just about the right options for you. If you are looking for caves, ancient hidden temples and incredible rock formations of Phang Nga Bay, hop on one of their sea canoes and glide past nature while you experience the best that Phuket has to offer. For those in search of nature, an excursion to little Amazon will satisfy your cravings as you seek adventure and experience the of the best in Phuket. You can explore mangroves, visit a turtle sanctuary and swim with elephants, my favorite animal! For sea creatures join a snorkeling tour to Wow Island. The name says it all. Meditation and the giving of alms is a specially fulfilling way to start the day and to share in Thailand’s rich culture and heritage. Get up at dusk and receive a blessing from a monk at one of the local pagodas. The beautiful chanting and the blessed water will provide the inner peace that you need to kick start a nurturing and re-energizing holiday that will leave you recharged. Follow with meditation every day in the silence of your private villa for ever lasting effects. You may never want to leave. Temptations abound in this slice of foodie haven. Be it a private dinner by the fiber optics lit swimming pool with only the starts for company or the chef’s table by the busy kitchen, Paresa bows to the bountiful Thai and Italian gardens. Who can say no to their lavish desserts or their degustation menus? Don’t forget to pair with cocktails and wines. And while you are lounging by the side of your in-villa swimming pool, a pina colada is only a mere phone call away lest this contribute to the general state of happiness brought about by the miraculous Angels. Although Paresa has 40 villas the architecture and lush surroundings will make you feel like you are the only one. Couples rejoice in this Heaven for reconnecting, enjoying each other’s company and taking in the beauty and perfection in every detail. Paresa is likely to transport you back to a moment of shared happiness.